The fans of the untamed superhero, the admirers of the wicked vengeance for the bad guys. Here comes the daylight advocate who becomes the fierce foe of lawbreakers at nights. The time has come for the peoples’ good guardian to become the deadly devil. Charlie Cox starring as Matt Murdock is seen to be a blind person fighting with his legal voice, but changes course overall – at midnights, he sees everything invisible and uses legitimate punches and kicks to make the deals. Fed up acting like an angel infront of people? I know how it feels when you’re always called an angel because of your good conduct and helpful social behavior. Well, who knows that you’re the devil too? But for those who deserve the red persona of you. Of course, you won’t go for them with some holy spirited cloak or someone looking an elegant charm from God. So now let’s become like Charlie Cox, the night crime busting stipulator. 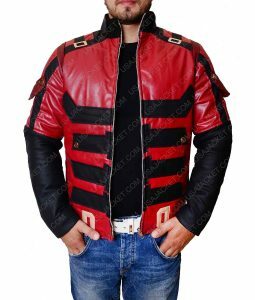 Here at UJ, you will find both Daredevil and the Punisher outfits with all the best detailing and encouraging styles. The Dare devotees had made calls and also e-mailed us to come up with some Daredevil costumes and props. So now, here we are with the fresh deadliest seasons’ series that is nice and simple in the days, but becomes bad and sophisticated at nights. 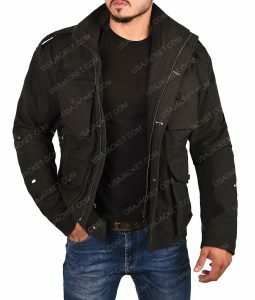 The USA Jacket is fortunate enough to be able to sort out all the measurement maneuverings for the required attires and other side wearable as well. 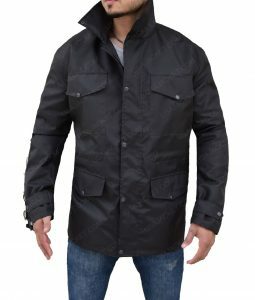 Go on and check some DD stuff here at Daredevil Shop. We believe in you just as you believe in us. Good clothes for good people. UJ – the place where apparel authenticity matters.